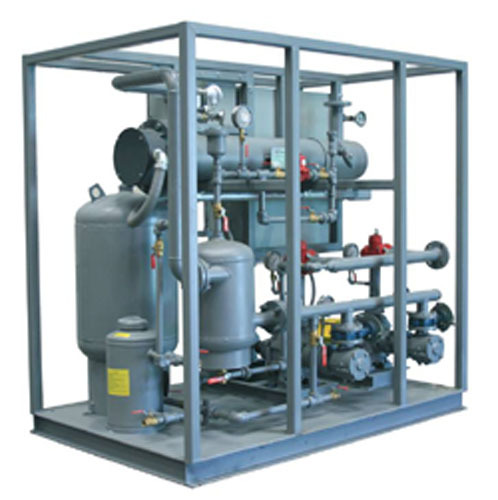 The envirosep HTS-E, heat transfer system with shell & tube electric resistance heater is a UL-Listed, factory manufactured and tested system used in conventional building hydronic heating systems which utilizes electric power as the heating source. An immersed electric resistance heating bundle is utilized for applications where economics dictate that electric heat generation is most feasible. 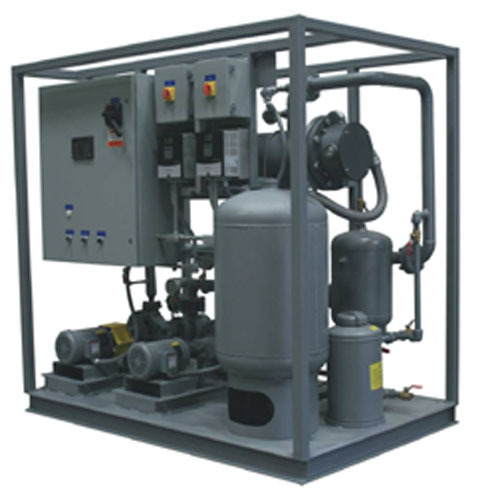 Heating hot water is supplied at a standard 180°F and is recirculated through the building system by use of centrifugal pumps which are sized to meet specific building requirements. The envirosep HTS-E provides air-free, hot water at a controlled flow rate, while automatically refilling under normal system losses. Also, the envirosep HTS-E allows for system thermal expansion/compression based on the building system volume. A UL-Listed, industrial control panel with single-point power connection is pre-wired to all electrical field devices and power sources. 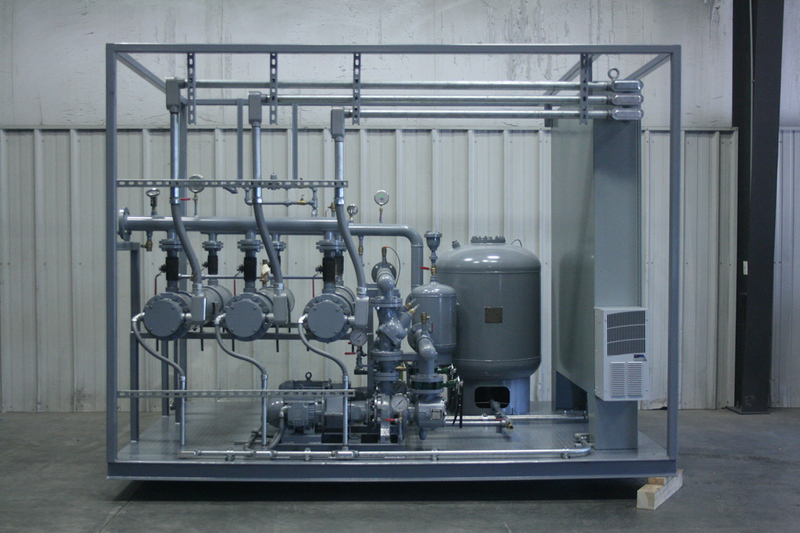 The envirosep HTS-E speeds installation and start-up of building hydronic heating systems which provides significant savings to contractors, engineers, and building owners.